Child Injured, Two Others Sustain Serious Injuries In Lake Worth Crash | Schuler, Halvorson, Weisser, Zoeller & Overbeck P.A. A 7-year-old child was among the injured victims in a rollover crash on Jog Road in Lake Worth. Emergency first responders were called to the scene of an accident involving a silver Hyundai Santa Fe and a Pontiac G6 Sedan on Jog Road. Three people, including a 7-year-old child, were seriously injured in the crash and had to be rushed to the hospital. The two vehicles were headed northbound on Jog Road when the Pontiac G6 struck the right rear of the Hyundai Santa Fe. The impact of the crash sent the Hyundai Santa Fe into a struggle for control. The Hyundai ended up overturning on its side. The Pontiac G6 came to rest on the right shoulder of the road. A 7-year-old child in the Hyundai Santa Fe sustained serious injuries in the crash. He was treated by paramedics on the scene and transported to the hospital. The driver of the Hyundai was also injured in the crash. She sustained severe head injuries and was transported to the hospital in an ambulance. The driver of the Pontiac G6 was hospitalized for a neck injury. He also sustained some internal injuries from the impact of the crash. He is said to be in a stable condition at the moment. 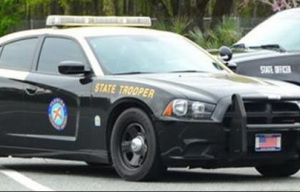 The Florida Highway Patrol is handling the investigation to determine the cause of the crash. Emergency services were on ground to clear the wreckage from the accident location and restore traffic on the busy road.